Europe building materials market is fragmented in nature due to the presence of numerous domestic manufacturing companies catering wide product portfolio. The key companies including BASF SE, James Burrell, and Saint Gobain. Other prominent manufacturers are UPM Plywood, Kastamonu, Danzer, Gyproc Iberica, Siniat and Bituline Industries S.A. The industry exhibits a low bargaining power for suppliers owing to the presence of a large number of suppliers and dealers in the market. 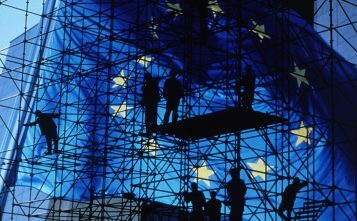 Increasing government spending on renovation projects & smart cities development are the key factors fueling Europe building materials market share. Factors such as environmental concern and rapid urbanization has surged up the need for smart infrastructure solutions. Shifting trend towards efficient construction practices with superior ability offering enhanced integration, improved planning, and advanced designing benefits will primarily drive the industry growth. Innovative energy saving building designs coupled with new product developments will offer lucrative business opportunities for future construction projects. Europe commercial construction industry have experienced strong revenue growth rate with more than 9.4% from 2013 to 2016 and projected to grow at a faster pace during the forecast time frame. Changing consumer preference towards high performance, superior quality, and low material cost will accelerate the industry growth. Manufacturing companies are continuously focusing on development of affordable, durable and attractive product portfolio which will further fuel the business expansion. Increasing penetration of premium windows and door designs will positively impact the Europe building materials market growth. Lumber market registered over USD 70 billion market revenue in 2017 owing to its excellent physical strength and superior support benefits. 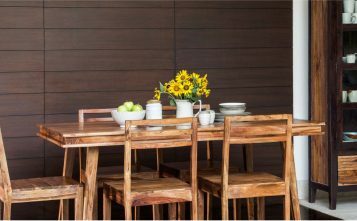 Hardwood species are ash, oak, red oak, birch, mahogany, maple, rosewood, teak, and lauan are expected to witness high demand. Superior physical hardness, stiffness, and creep resistance are the key benefits augmenting the Europe building materials market expansion. Roofing segment was accounted for more than USD 560 million in 2017. European roof framing is mainly built from timber, logs, boards, and different types of wood species that provide excellent mechanical strength. 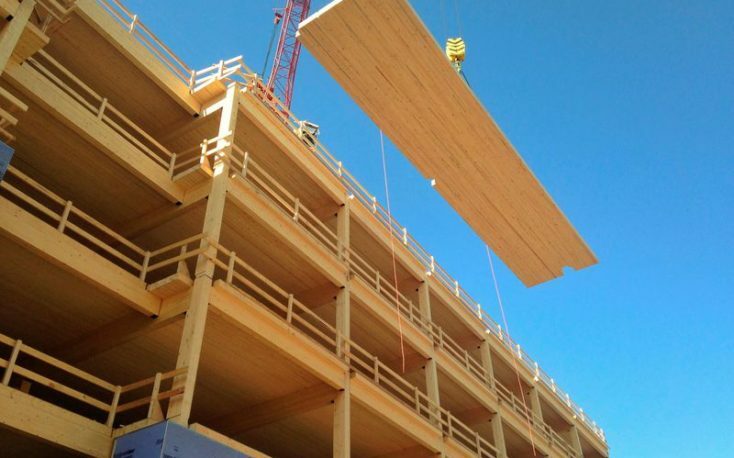 Increasing requirement for high quality materials including wood components to provide strong structural support will foster demand for the Europe building materials. Flooring market is projected to observe more than 5.4% CAGR from 2018 to 2024. The construction industry uses particle board in applications, such as interior lining, floor, web plate, the base material in door core, and furniture frame making process. Flooring products are mostly made from the particleboard sheets due to dimensionally stable benefits augmenting industry share. Modern architecture is gaining consumer attention, especially the new generation designs, shades, and textures, stimulating the Europe building materials market growth. UK building materials market generated sales more than USD 8.5 billion in 2017. Growing renovation activities and new residential construction owing to the rising population and increasing count of migrants are propelling the building materials market growth. Comparatively lower interest rates coupled with improved income are among the key factors that have elevated the building components demand. In addition, European Structural and Investment (ESI) funds financial support through renovation loans and grants will provide positive business outlook. Europe building materials market is fragmented in nature due to the presence of numerous domestic manufacturing companies catering wide product portfolio. The key companies including BASF SE, James Burrell, and Saint Gobain. Other prominent manufacturers are UPM Plywood, Kastamonu, Danzer, Gyproc Iberica, Siniat and Bituline Industries S.A. The industry exhibits a low bargaining power for suppliers owing to the presence of a large number of suppliers and dealers in the market.